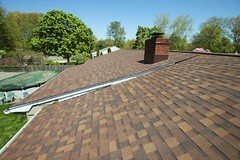 Never just tar over the areas where your roof is having problems. If you just use tar to fix a leak, it’ll be quite temporary and can lead to that leak eventually getting worse and costing even for money to repair. When a Hillsborough roofing contractor comes to determine what’s wrong with your roof, make sure they actually do a full inspection and get up on your roof. That’s the only way they can know exactly what’s wrong. Make sure to ask the Hillsborough roofing contractor a lot of questions about their inspection as well. If an estimate seems way to high for what the job is, then you should stay away. Like any business, there are companies that overcharge way too much. And when we’re talking about Hillsborough roofing companies, it could be thousands in difference. 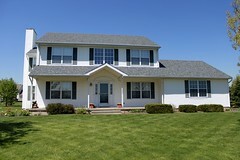 Get multiple Hillsborough roofing contractor estimates to see how prices compare. 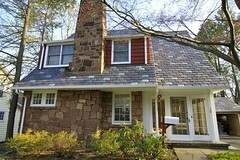 Biondo Roofing offers free competitive NJ roofing estimates. Sometimes you’ve just got to accept the fact that you need a new roof. If you’ve been doing multiple repairs in different areas and still experiencing problems, then it may be time to replace your roof. It’s not cheap, but will be cheaper and more efficient in the long run than trying to keep repairing a roof that’s clearly at its life’s end. 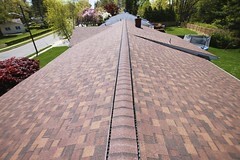 Biondo Contracting does roof repairs and replacements in the Hillsborough area, and towns such as Basking Ridge, Bedminster, Belle Mead, Bernardsville, Blackwells Mills, Blawenburg, Bloomingdale, Bound Brook, Bound Brook Junction, Bradley Gardens, Branchburg Park, Bridgepoint, Burnt Mills, Chimney Rock, Clyde, Coontown, East Millstone, Fairview, Far Hills, Finderne, Flagtown, Frankfort, Gladstone, Green Knoll, Griggstown, Hamilton, Harlingen, Higginsville, Hillsborough, Kingston, Lamington, Liberty Corner, Lyons, Madisonville, Manville, Martinsville, Mettler, Middlebush, Millstone, Milltown, Mine Brook, Montgomery, Neshanic, Neshanic Station, North Branch, Somerset, Somerset, Somerville, South Bound Brook, South Branch, Zarephath, and many more!